Lots of really technical single track and a few fire roads. Closed during the Winter. Some trails are off limits to bikes. Review: No biking permitted from Jan. 1st- Apr. 30th. Review: This trail gets a higher rating strictly based on the blue loop. It offers a long climb that works your aerobic threshold and you are later rewarded by an awesome descent! So fun that I had to do it again. The green is more beginner oriented and just a vehicle to add mileage. The white trail starts out as easy doubletrack and changes to fun singletrack getting a bit more technical the further you ride until finally you are so frustrated at dismounting your bike so many times that you head back! A mix of trails for everyone. Review: Nice trails but it's a shared use trail system so some of the trails were not designed for mtn biking. Trails are nicely marked and there are maps available at the trail head. Blue trail has a nice little climb in the beginning and a nice down hill at the end. Green trail had some narrow wooden bridges. You are partly on a gravel road at points within the green trail. 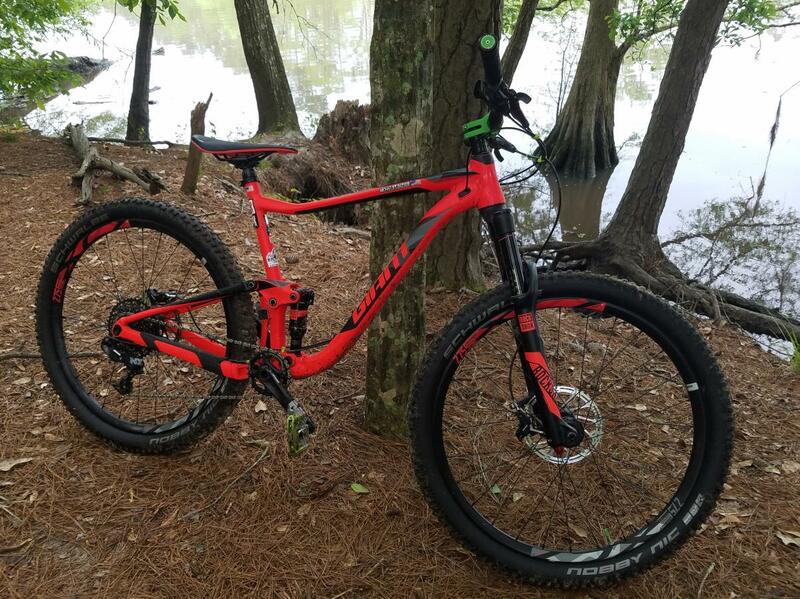 Review: These trails are "the Best"! This is one of my favorite places to ride locally. NEMBA works with the land trust folks to make sure the trails are maintained for both hikers and bikers. Review: Excellent riding area with lots of rocks. A few steep climbs, otherwise rolling and rock gardens. After heavy rains lots of technical sections with rocks, roots and deep water crossings. Review: These very well maintained and marked trails vary from easy to difficult, but nothing too severe. I would consider most of the trails to be "fast and flowey.". Some good trails are off limits currently due to waterfowl breeding, but there is plenty to explore. Maps are available at all the official parking lots/trail heads. Review: If you don't like hills this is not the trail for you, but the cup being half full side of the coin, you get to ride down all of the hills you climb. This is the most well maintained and most well marked trail system I have every ridden. Reallly good trails that range from the novice fire roads to expert single track, many rock gardens. Review: Trails: Quite a few, steep technical climbs, lots and lots of rock gardens, very advanced trail riding. Northern Section is harder to ride than the lower section. Lots and lots of drops and rollers all over the place, basically typical New England riding. Trout Brook Valley MTB Trail 4.11 out of 5 based on 9 ratings. 9 user reviews.